Providing you the best range of crab winch, power winch, industrial winches and winches with effective & timely delivery. 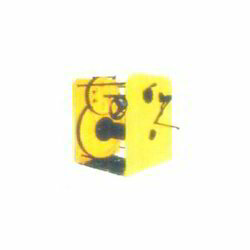 We are one of the well-known manufacturer, supplier and trader of Crab Winch. The offered crab winch is widely used with industrial pulleys and crane, for wire winding operation. Our offered crab winch is made from high-grade raw material, sourced from reliable vendors in the market. The offered crab winch is available at very cost effective rates. 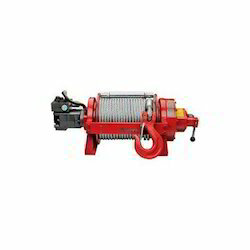 Our organization is placed among the noteworthy enterprise engaged in offering an excellent assortment of Power Winch. This is made of utilizing high quality stainless steel alloys and advanced technology. The precision engineering offered in winch deliver the expected power functionality to the attached crane. Moreover, this winch is fabricated adhering to industry standards that assure high durability and consistent performance to the users. Additionally, clients can also opt for custom winch according to the business or projects requirements. With phenomenal market understanding, we are able to introduce an extensive range of Industrial Winches. 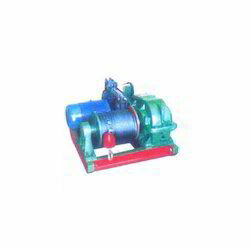 These winches are manufactured using optimum quality materials belonging to the category of innovative technology. Our professionals are particular in making winches having different block sizes. The winches sizes vary from 3F to 6F supporting the torque in-between 1 ton to 10 ton effortlessly. Clients can also get the winches designed and developed according to the business needs. We have gathered a huge customer base in this domain by presenting a comprehensive range of Winches. 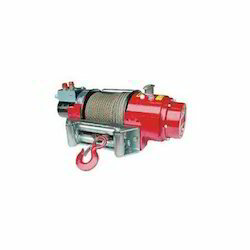 These winches are made of utilizing quality material grade materials. The heavy duty materials offer strength and reliability to the winches when load or unloading task is applied. Additionally, these winches are coated with galvanized finish to strength it hold up the high tension readily. Clients can opt to get the winches made and obtain length according to the business requirements.